Traditionally, distance learning took place through correspondence. Students received their study materials via the post, and worked through these materials at their own pace. However, recent developments in technology have led to an increase in the variety of distance learning resources that are available. This, in turn, has made it possible for different types of distance learning to emerge. It is now possible, for example, for students to attend web-based lectures and to download their study materials from the internet. Correspondence Learning: With correspondence learning, you receive your textbooks, study guides, assignments and other study materials via the post. You work through these materials in your own time and at your own pace. Depending on the institution through which you choose to study your course, you may be able to ask a tutor or instructor for help via e-mail, telephone, instant messaging, or post. Electronic Learning: Electronic learning, often referred to as e-learning, enables you to access your course material on a computer. CDs, DVDs, and computer-based applications can all be used to deliver e-learning courses. Online Learning: Online learning is a form of electronic learning that requires you to have access to the internet. Online learning is often more interactive than the other types of distance learning, as it allows you to communicate with tutors, instructors and fellow students in real time. With online learning, you might also be able to download your study material from the internet, submit your assignments via an online student portal, complete assessments online, attend webinars, and participate in virtual classes. Virtual classes are online learning sessions that are conducted via the internet. Such online learning sessions can take the form of web conferences, live broadcasts, or teleconferences. One advantage of virtual classes is that they give you the opportunity to participate in learning activities together with your fellow students. Virtual classes therefore eliminate one of the disadvantages of distance learning – the lack of social interaction during your studies. Another important distinction, when it comes to the different types of distance learning, is that of synchronous versus asynchronous learning. Synchronous learning is where you take part in learning activities (such as webinars and virtual classes) simultaneously with your instructors and fellow students. You can interact with your instructors and fellow students in real time. You can get instant feedback from your instructors. You may be more motivated to ask questions or to participate in discussions. You will have less flexibility, as you will have to be available to attend sessions at the scheduled times. You will need to have access to the relevant technology (which may be expensive). You will need to be comfortable using the relevant technology. Asynchronous learning does not require you to participate in learning activities at the same time as your fellow students. Instead, you are given the opportunity to work through the course material at your own pace and according to your own schedule. Textbooks, email and postal correspondence, virtual libraries, online databases, message boards, CDs and DVDs can all play an important role in the delivery of study material for asynchronous distance learning courses. You are free to determine your own study schedule, which means that you will have more flexibility. You can work through the course material at your own pace. This means that you can spend more time on the sections you struggle with, and you can work more quickly through the sections you are comfortable with.  You will need more self-discipline to study on your own and to stick to your study schedule. You may have fewer opportunities for interaction with other students. You may have to wait longer for feedback from your instructors. Which types of distance learning are available at Oxbridge Academy? At Oxbridge Academy, we cater for different types of distance learning. You can study most of our courses via correspondence. We make sure that you receive all of your study material via courier (or by post, if you live in an area that is not covered by the courier service). There is also an online Student Portal, which allows you to download some of your course material, upload your assignments, and access your results. The Student Portal also makes it possible for you to access e-learning components of your course work. You also have the option to study a range of courses online. Please view the course list to find out which courses are available online. Want to find out more about distance learning at Oxbridge Academy?